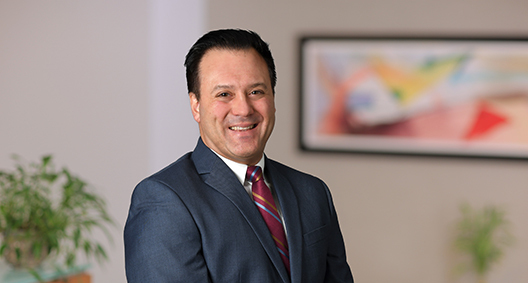 BakerHostetler’s Blockchain Counsel, Robert A. Musiala Jr., is esteemed for his roles in the areas of cryptocurrency anti-money laundering/counter-terrorist financing, and concept development for blockchain-based solutions. Robert was a founding member of the blockchain practice at a “Big Four” accounting firm and one of the largest professional services firms in the world, where he was introduced to blockchain through his work as an intelligence analyst and financial crimes investigator. His achievements in threat finance include managing a team of investigators to collect intelligence and produce a threat/counter-threat analysis on cryptocurrency and blockchain for a U.S. national security community client. An innovative thought leader, Robert is the inventor of a patent-pending blockchain micropayments system. He is also the co-inventor and primary concept developer of a patent-pending system that leverages blockchain technology to promote transparency, speed and security, and mitigate economic crime in funds governance and aid distribution programs. Robert’s practice includes advising blockchain industry clients that have previously completed “initial coin offering” events on strategies for mitigating personal and business risk, limiting business disruption and achieving regulatory compliance. His experience also includes advising blockchain technology firms on strategies for achieving compliance with the EU’s General Data Protection Regulation. Advises blockchain industry clients on regulatory compliance in connection with funding mechanisms, including seed/angel funding, Regulation CF crowdfunding, Regulation A+ limited public offerings and Regulation D accredited investor funding. Advises blockchain industry clients in connection with systems architecture and off-chain storage to comply with the EU General Data Protection Regulation. Managed team to produce threat/counter-threat analysis on blockchain for U.S. national security community client; prepared and presented case studies and other trainings to various U.S. intelligence agencies. Managed team of anti-money laundering (AML) investigators on 15-month AML lookback, performed under consent order at major U.S. financial institution; acted as case investigator on 5-month AML lookback, performed under consent order at major U.S. financial institution. Managed team of intelligence analysts to produce analysis on global trade-based money laundering threat environment for U.S. intelligence community client. Primary writer of multiple RFI/EOI responses on behalf of "Big Four" accounting and professional services firm detailing global blockchain solution set for two major international organizations. Acted as liaison for relationships with blockchain investigations tool providers. Served on delegation to annual summit held at United Nations headquarters and dedicated to improving lives through digital identity and blockchain technology. Inventor, author and primary concept developer of patent pending blockchain-based system to improve transparency and mitigate fraud in funds governance, procurement and aid distribution programs. Inventor of patent pending blockchain micropayments solution.